KUALA LUMPUR (March 14): The cyclical sectors are poised to outperform the broader market in the equity market, amid a potential cyclical upturn in corporate earnings in Malaysia. In a strategy report today, AmInvestment Bank said investors will start to pay attention to the cyclical upturn in corporate earnings, as the ringgit’s outlook stabilises. “Under this circumstances, we believe cyclical sectors will start to outperform the broader market, such as financial services (CIMB Group Holdings Bhd and RHB Bank Bhd), property (MRCB and Sunway Bhd) and consumer discretionary (Padini Holdings Bhd),” it said. The FBM KLCI's earnings are forecast by the investment bank to grow by 7.2% and 8.3% for 2017 and 2018 respectively. Small- and mid-cap stocks with a market capitalisation below RM2 billion could be in the limelight with the government’s mandate to government-link companies funds in Budget 2017 to allocate up to RM3 billion to invest in this space, backed by equity research, financed with an initial funding of RM75 million from the Capital Market Development Fund administered by Bursa Malaysia. “We highlight high-growth small- and mid-cap stocks such as V.S. Industry Bhd, OldTown Bhd and Bison Consolidated Bhd,” it said. This was despite a potential “risk-off” mode among investors, amid a political crisis in Europe, which could see investors retreat to safe haven trades such as the U.S. treasuries, gold and the Japanese yen. The research report however said it is unlikely to see investors rush to dispose their emerging market equities, as a political crisis in Europe would also indicate a slowdown in the U.S. Fed’s plans to raise rates aggressively. “The Fed does take into consideration international risks to the U.S. economy, when it comes to policy decisions. We believe the uncertainty surrounding the outcomes of the elections in Europe alone is sufficient to prompt the Fed to take its foot off the pedal, after the first hike in 2017,” it said. 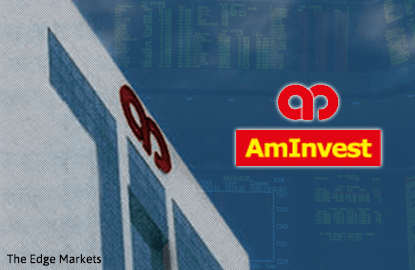 AmInvestment Bank maintained its end-2017 KLCI target of 1,745 points and introduced its end-2018 KLCI target of 1,900 points, based on 17.5 times of forecast 2017 earnings and 2018 earnings respectively, indicating a 1 times multiple premium to the 5-year historical average of about 16.5 times.